These are ‘our’ dances. Some we learned from other sides, some we made up. There are videos of lots of these on our Facebook page and on YouTube. Apple Bower – a long dance which makes performers simultaneously sweaty and thirsty. The first dance written by Armaleggan. Three tunes for this lengthy dance: White Ladies Aston, Speed The plough, Donkey Riding. Bear Dance – A traditional dance with a traditional tune. Brimfield – the one which makes maiden aunts blush. A traditional dance recorded at Brimfield. Dilwyn – A dance with light and shade from Dilwyn. A good one for the audience to join in. A traditional dance developed by Siluran Morris Men. Drunken Idiot – for our Foreman and Squire. From the Basset St. Hounds. Evesham – a challenge to keep our lines as straight as the rows in the fruit orchards of the Vale. A traditional dance. 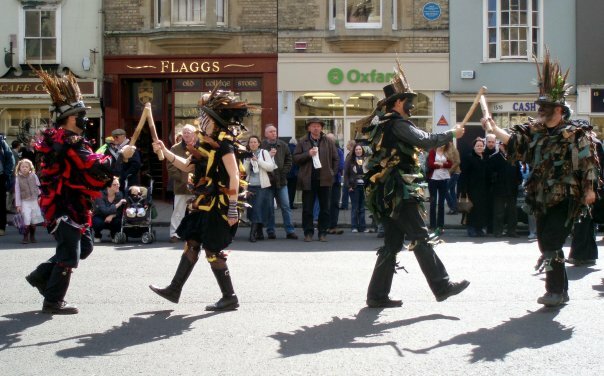 Feathers – a Cotswold dance from Eynsham because they are lovely boys. Four Candles – or ‘andles for forks? In honour of Ronnie Barker. Hay-on-Wye – from the actual Border. A homily to the, er, literary intellectual foundations of the side. Literally taught to us by ex-members of Cry havoc. Kinghts Templar – sword play in honour of the bankers. Dead ones, from the Middle Ages, of course. Taught to us by Plum Jerkin Morris. Mucky Duck – don’t live in a farmyard if you don’t want to get your feathers muddy. 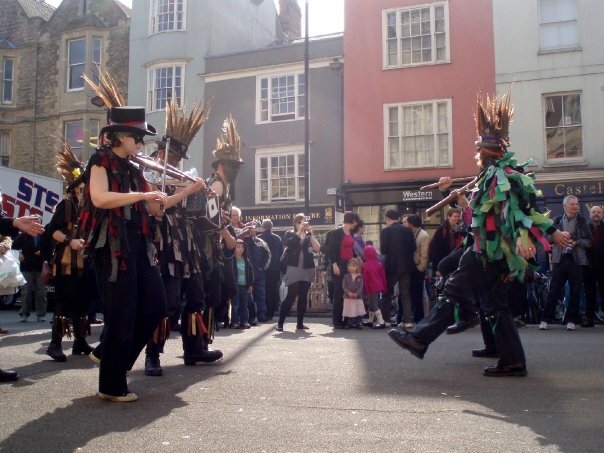 Ninepin – a new dance for nine… a daring innovation from our Squire Phil. Rose of the Warren – about the ‘forgotten rabbit’ in Watership Down. Tune: Lord of the Dance. Shepherds Hey – happy clappy joining-in dance for kids of all ages. A traditional dance from Bledington. Spires – because we like Oxford. Written by our Squire Phil. 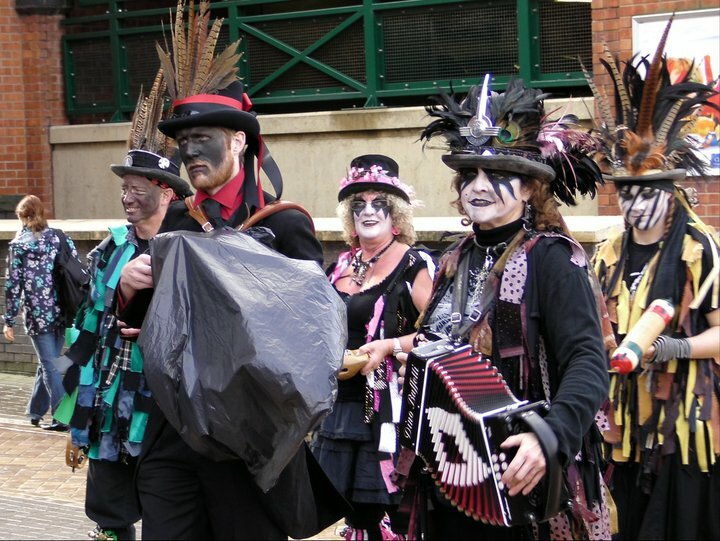 Tune: Either Titterstone Clee or Mad Moll of the Cheshire Hunt. Tunes: Jack Robinson and The Rochdale Coconut Dance. On special occasions like May Day and the solstices we also dance with FIRE. Some of the titles are dance names, some are tune names. We don’t always play the tunes exactly as they are written. Obviously. If you want to hear the tunes you can find them (and gazillions of others) at www.folktunefinder.com.